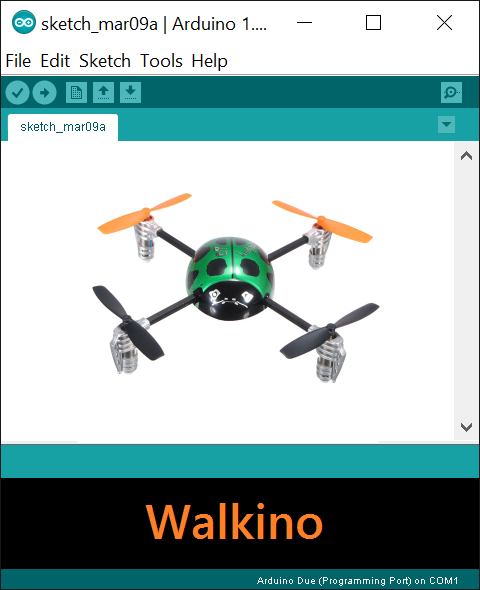 During the last few blog posts about hacking Walkera quadcopter receivers I sought an easy way of programming them. Currently the easiest way of programming a microcontroller is by using the Arduino IDE. In this post I describe the integration of Walkera RC receiver board into the Arduino IDE. This will also be the last post of this series as I have achieved (almost) all goals. Future ideas meight be to port the MultiWii firmware to Walkera boards or to use the boards for something completely different. In 2016 we had the idea to use a QR-Ladybird RX2634H board as a secure fitness tracker and made a submission to austrian support program NetIdee. See a short video about it on youtube (in german). Unfortunately it was rejected. The used USB to serial board uses a CP2102 from Silicon Labs. Such boards are cheap and easy available on platforms like ebay or amazon. The board is also very light (~2 gramms) so that it can be permanently installed on the receiver without impairing flight performance. Walkera RX2635H as generic development board? Walkeras quadcopter brains RX2635H for the Hoten-X and RX2634H for the QR-Ladybird feature an Altera XMEGA32*A4U (which has quite some peripherals and memory) and sensors like gyros and even a wireless USB transmitter. You can get such a board either from an old crashed quadcopter or relatively cheap from the internet like ebay. 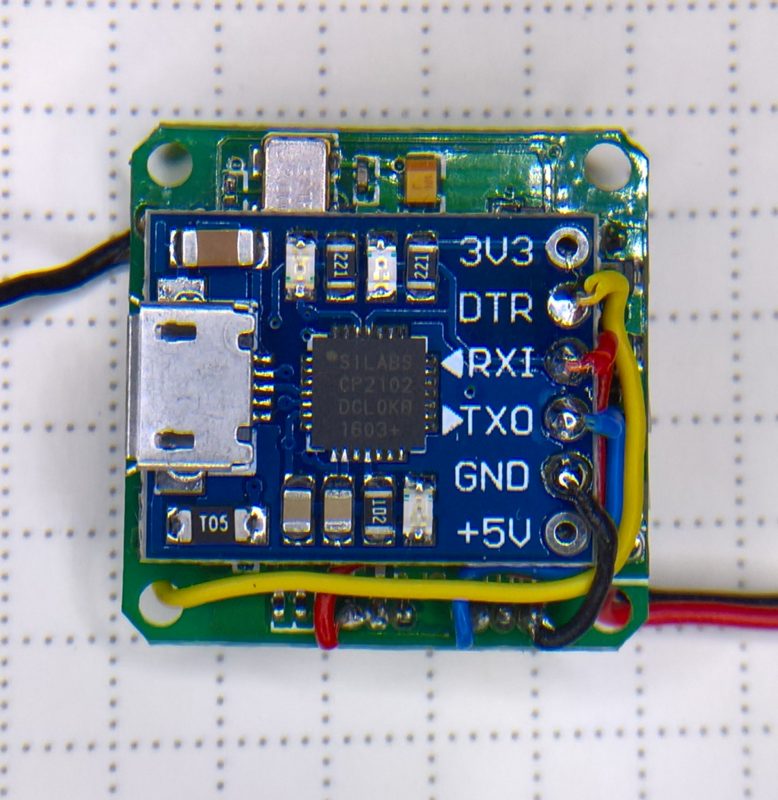 One of the important parts of a quadcopter controller is a gyro. 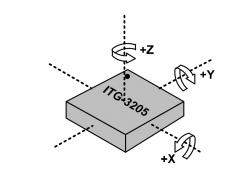 The RX2635H uses an ITG-3205 from INVENSENSE. 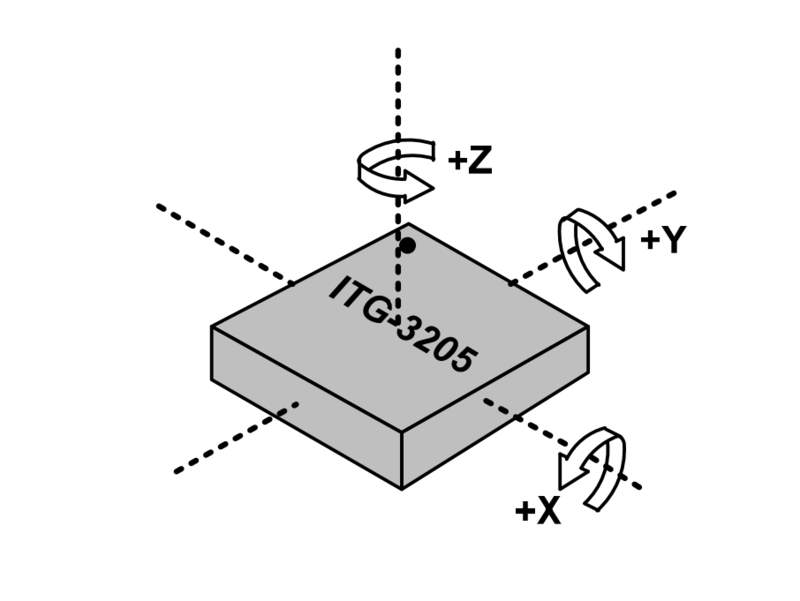 Accessing it is very simple as it uses the I2C interface (Two Wire Interface - TWI on the XMEGA) to read the X, Y and Z values of the gyro.